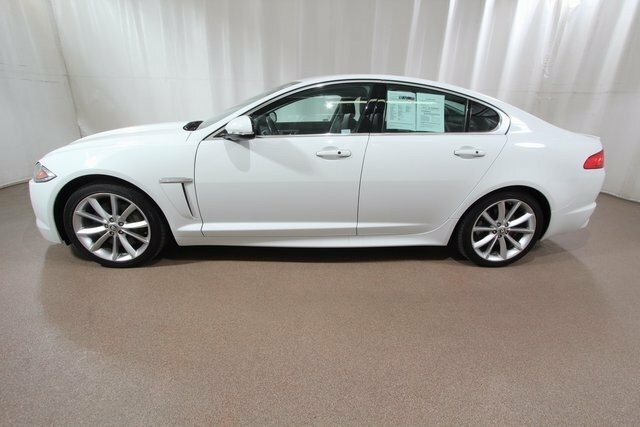 Don’t miss out on this Jaguar Approved Certified Preowned 2013 Jaguar XF Supercharged AWD for sale at Jaguar Colorado Springs. Convenience Pack – With such features as Jaguar Voice, keyless entry, Blind Spot Monitor, and electric rear sunblind. 19″ Sport Portfolio Pack – With such features as softgrain leather sport seats, heated/ cooled front seats, premium headliner, and 19″ Aquila-style wheels. Premium Pack – Features navigation, 380w Meridian Sound System, rear camera and front parking aid, and adaptive front lights. So many features and impressive styling and power for only $33,500! Did we mention this vehicle is Jaguar Approved Certified Preowned? That means you get additional benefits, including 6-year/ 100,000-mile limited warranty, 165-point inspection, 24/7 roadside assistance, Jaguar Concierge, and a vehicle history report. Visit Jaguar Colorado Springs to take a test drive. Let us tell you more about the features of this vehicle and benefits of the Approved Certified Preowned program. We are located just off I-25 in Motor City.